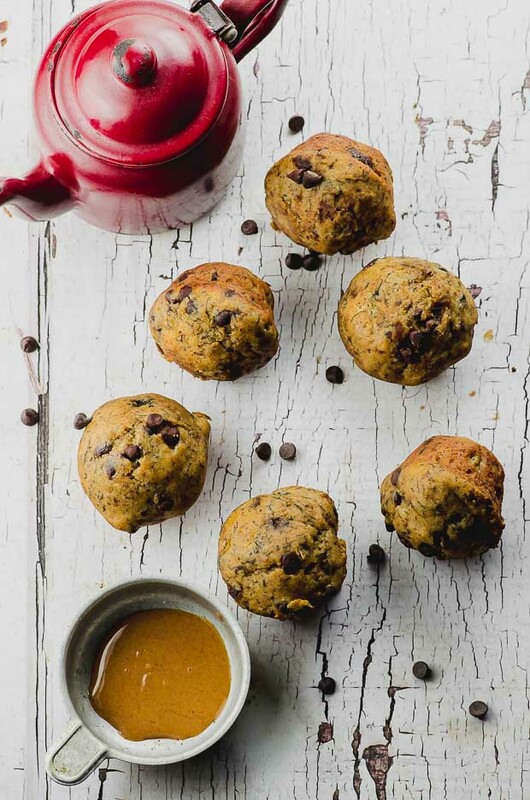 These mini muffins are sweetened with maple syrup and bananas, and we’ve subbed the oil for peanut butter. They’re perfect as a snack, or a quick grab and go breakfast! Do you ever get advice that sticks with you forever? Could be the simplest, most random thing, but for some reason you never forget it. That’s what happened to me when I started baking coming up with my own baking recipes. I was experimenting with no refined sugar added desserts, and some of them were coming out super dense and bread-y. And I had no idea why. At the time, I was working a Whole Foods Market, so I went to the bakery team leader for advice. I remember asking about muffins in particular. She had an answer for me right away: “you’re over mixing the batter”. Next time I tried, I remember what she said and, lo and behold, it worked! I’ve remembered that trick ever since, which is why you’ll often see “do not over mix” written in pretty much all of our baking recipes. These mini muffins are, of course, no exception. They’re wonderfully light and airy, but get a little overexcited during the mixing part, and you’ll end up with banana flavored hockey pucks. Other than that, these are very simple and practically foolproof. Whisk, pour, mix, done. Oh, one more thing. For this recipe, instead of oil, butter or coconut oil, we used peanut butter. 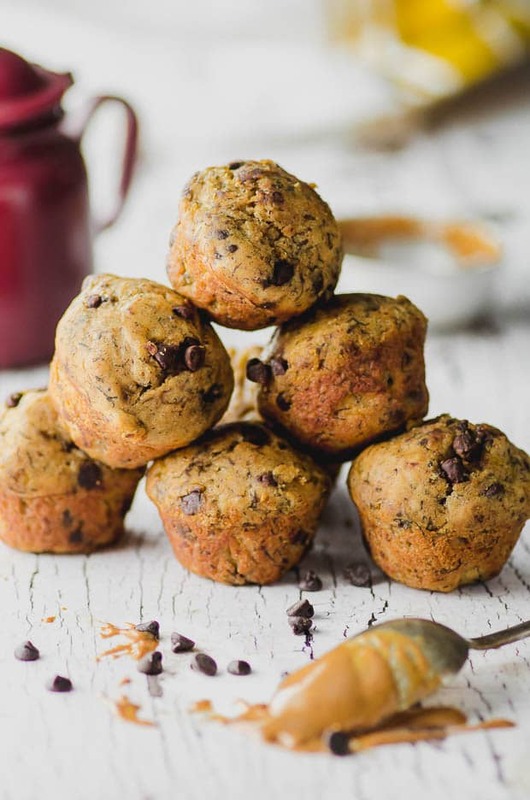 So these mini muffins are lower in fat and more nutritious than your traditional muffin. Also, we’re giving you the choice of using all purpose flour or whole wheat pastry flour. Here’s why. When we tested the recipe, we made two batches, one with each flour. Our “taste testers” (aka, our families), were pretty much split 50/50. So, we’re giving you both options, so you can choose the one that works best for you. 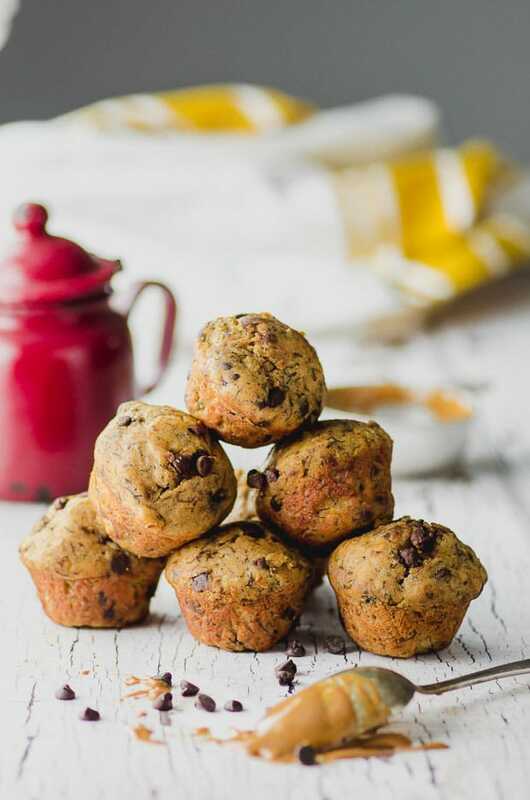 Did you like these peanut butter and banana mini muffins? Leave us a rating! Did you love it? Share it or leave us a comment on Twitter or Facebook! Wanna see more? Subscribe to our blog and remember to follow us on Pinterest! « Breakfast Salad and A Little Rant! Looks good. 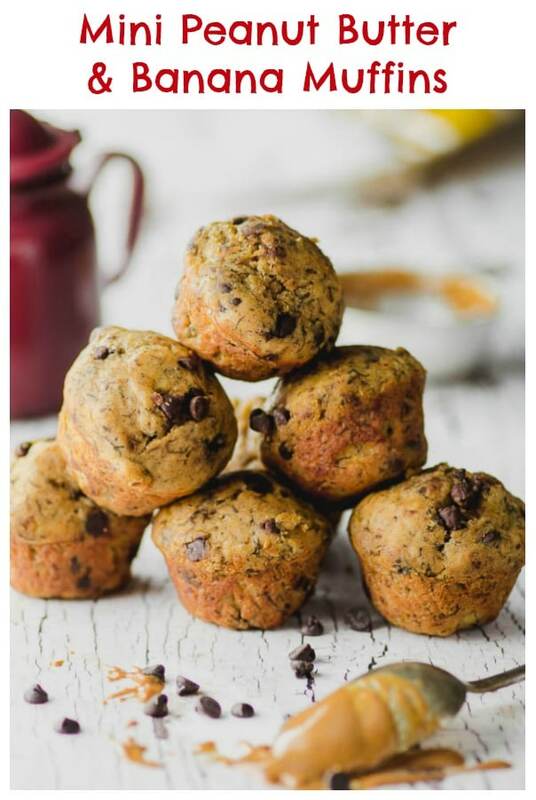 Unclear if u used mini muffin pan or regular .